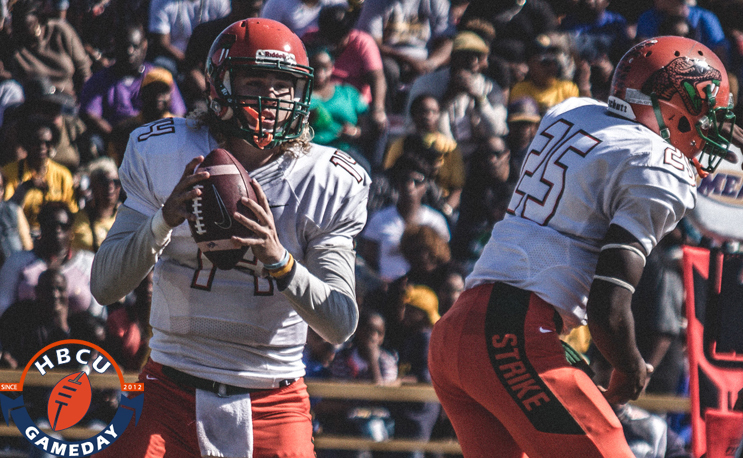 FAMU has named a starter but more than one quarterback will play. The HBCU football season will kick off in Tallahassee, Florida at noon when Texas Southern travels to Florida A&M. FAMU now knows for sure who will take the first snap from center when it gets the ball this weekend. FAMU coach Alex Wood announced that Ryan Stanley will be the starter at quarterback for Saturday’s game against Texas Southern on Tuesday afternoon. Stanley, a redshirt sophomore, was solid with his arm in his first year on the field, completing better than 56 percent of his passes and throwing for more touchdowns (8) than interceptions (5). A duel threat, he also ran for 351 yards and three touchdowns in nine games. The Rattlers have had a quarterback battle of sorts with JUCO quarterback Vincent Jeffries challenging last year’s star freshman. While this will be a game between teams from the two Division I HBCU conferences, the MEAC and SWAC, it isn’t exactly a rivalry game. The two schools haven’t played each other since 1968 when Jake Gaither was FAMU’s coach and the host school was in the SIAC, but the two coaches do have some common history. Wood served as receivers coach under Mike Haywood at Miami University of Ohio in 2009. Haywood is now Texas Southern’s coach. HBCU Gameday will be in Tallahassee to kick off the HBCU football season. If you see us, give us a shout and send us a plate from the tailgate at Bragg.